EMBRACE A FAMILYA ROOM FULL OF WOMENWHAT’S REALLY WRONG? I happen to be a believer in doing what feels right when the moment feels right, as long as I’ve thoroughly thought it through, prayed, meditated and know that I can sleep with a sense of conviction in my soul. I’m also deeply aware of how blessed and lucky I’ve been. The opportunity to have been a Broadcast Journalist for 10 years has been humbling and rewarding, with 5 of those years spent at Citizen TV. For that I’d like to thank Farida Karoney and Wachira Waruru, who have believed in me through and through. I know the moment is right for me to take a sabbatical; breathe, reflect, pursue my passion projects in earnest and spend time with my young family. It’s more ‘see you soon’ than ‘goodbye’. I’m not going into specifics about what my next steps are, that’s not my style. What I can say for now is that I am in a space of renewal and rebirth, without wanting to sound too perceptible. It’s as metaphorical as it is literal. Sometimes life forces you to reboot, whether you want to or not. Am I scared? Sure. A little. Anxious? Yes. Excited? Very! Broadcast has not just been my bread and butter, but the Ying to my Yang as far as career goes. My go to. My comfort zone. Stepping out of all that familiarity, albeit momentarily, can shake ones equilibrium a little…but that’s not unusual. But, I’m a closet Life-ist who’s ready to own that. Life is too short. Better to live it absolutely! In the meantime continue to follow the projects I’m a part of, #HelpAChildReach5 with Lifebuoy and #TheJourneyWithJanet with Resolution Insurance, and those I’ve founded; #IAmMotherhood (www.iammotherhood.love) and Inua Dada, of which the latter is going through its own organic transition. I’m excited for what the next few months hold and look forward to sharing all this with you, right here on this platform and across my social media. Because of women like you..my zeal keeps on burning.such a role model and in your next step in life i send you lots of blessings. Mondays and Tuesdays were the days I wouldn’t miss watching news on citizen TV at 9. You’ve been a great inspiration to me. You’re a great lady and I always admire your strength. God bless you always. I always looked forward to your news broadcast, i will miss you Janet. May God bless you in your next level……indeed, see you soon. Will really muss you on TV..
We will miss you on the screen, you really had this gel with Hussein that we all loved, your maturity,eloquence n calmness is admirable. You are my idol. Seeimg you on tv gave me strength and hope. Now i’ll derive that from this site. Thank you. And all the best. Good read! Am inspired! All the best! Indeed she was a phenomenal woman, and i like the way Cynthia you are reigniting your flame too and i know soon u will be the woman to watch. will miss you on broadcast but God speed in your future endevours. All the best.we shall miss you. All the best Janet you are a role model. All the best Mama Ethan,sometimes we have to embrace change.We do it for our good considering our families and ourselves.I have learnt alot from and will continue following you on your platforms,Thank you once again.Lets continue empowering each other on life issues. 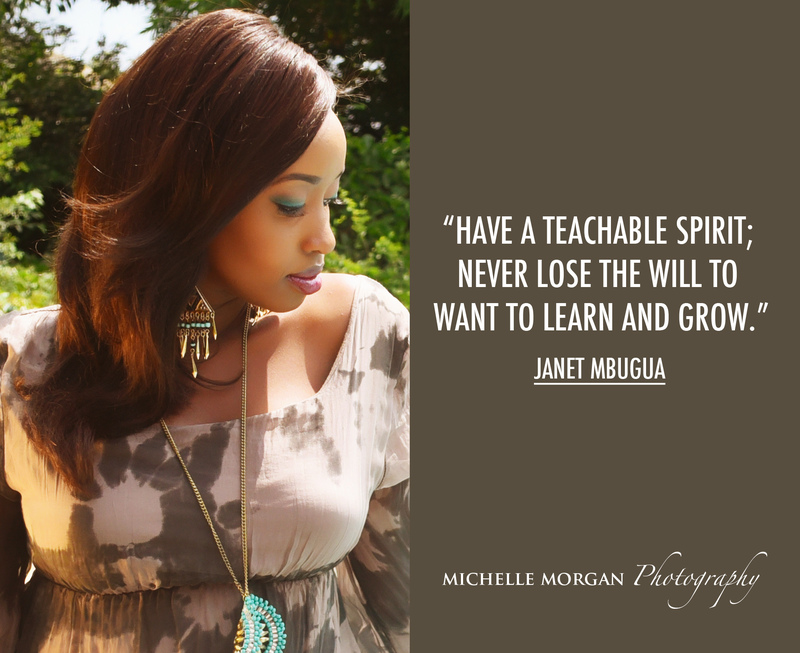 U are my role model Janet, I totally believe in you may God’s favour and grace be upon you. I’ll surely miss you on live television, but I am sure you’ll always be doing noble tasks out there. All the best in the new phase fear not God is holding your hand. Thanks blessed lady. We will surely miss you. Wishing you all the best Janet. We will surely miss you ,wherever you go may the good Lord always protect you and bless you abundantly. All the best Janet in your future endeavors. You got this, and God’s got your back! Truth is Janet I am going to miss you,we all gonna miss you.To me you’ve been a source of inspiration,a great ambitious woman.It’s been real and I wish you all the best. We will certainly miss you on the screens. More grace in this new journey. Love, light and blessings!! Thank you Janet for always gracing our Evenings with your smile. As you step in to your new journey, I pray that May the Lord guide and lead you to where He wants you to be. Thank you for using media platform to inspire young ladies and mothers to always be the best they can ever be. Personally you have been a mentor and i wish you all the in your en devours. All the best Janet. But you were almost crying when Hassan said you’ve bn a fantastic colleague.i was in tears too.”here is the tissue”,funny couple news anchor. I just love the way you bring out everything about you as an inspiration. You saying you exiting that platform yesternyt was like Auch!why now? !..but reading this post right here, the auch just disappears and i don’t really care about the ‘why now’ anymore. To greater heights Janet..to greater heights!!! Bless🙏. God bless you Janet.we will miss your passion n eloquence. Wish you the very best. I will miss you Janet.Your passion n eloquency. We wish you the very best. Janet we will surely miss you on our screens but I believe God has something greater for u.
Blessings galore as you pursue what u love the most. All the best love. Life has a lot to offer.